Chris Larmoyeux is a partner with the personal injury law firm of Larmoyeux & Bone, P.L. With more than 38 years of trial experience, he has distinguished himself by achieving 80 verdicts and settlements of more than $1 million. For the past 25 years as a board-certified trial lawyer, his primary focus has been in representing victims of medical malpractice throughout the state. Larmoyeux is listed in Best Lawyers in America Medical Malpractice, Personal Injury & Wrongful Death – Woodward & White, which is widely regarded as the preeminent guide to the legal profession in the United States. 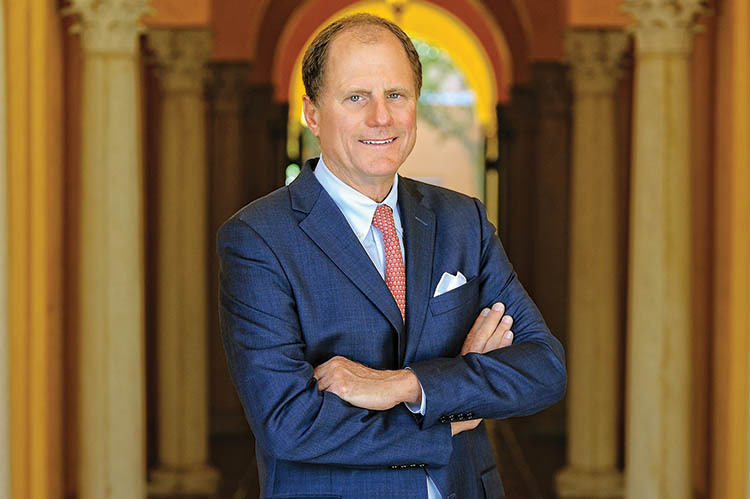 He has been recognized by Florida Trend magazine as one of Florida’s “Legal Elite” and listed as one of Florida’s “Super Lawyers.” Additionally, the independent lawyer-rating company Martindale-Hubbell has consistently awarded Larmoyeux the highest rating in the categories of legal ability and general ethical standards. He has been recognized by his peers as a lawyer of year and by the National Trial Lawyers as one of the top 100 litigators.